Hey guys! So I have a few new colors that are available now in my Etsy shop. Smitten 1 coat alone. 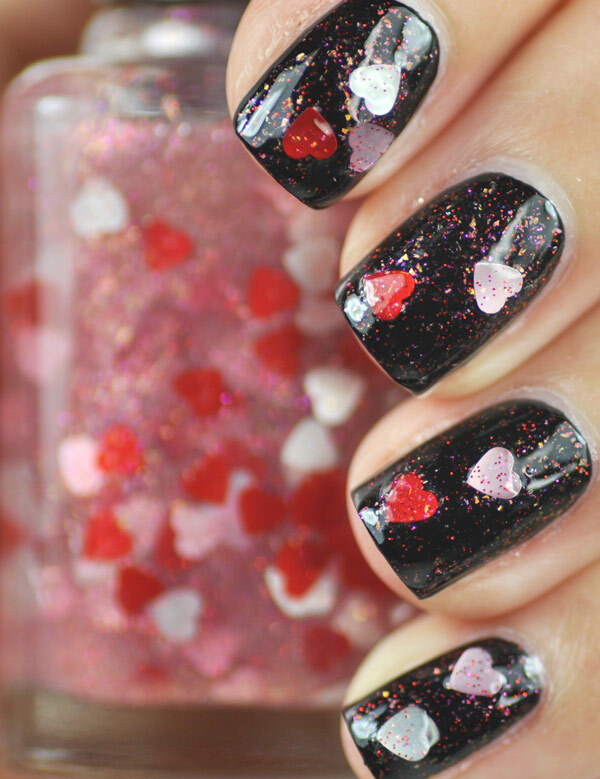 Hearts in all the photographs shown are applied with a manicure stick. Buy here. 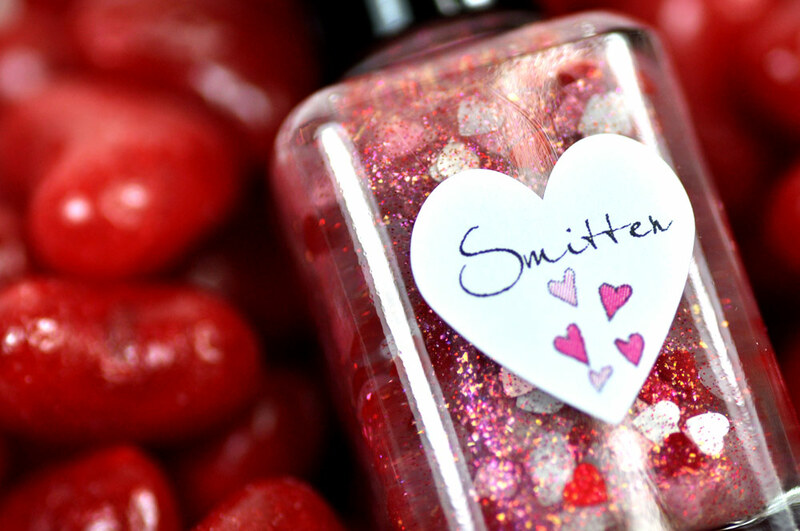 Smitten 1 coat over black. Buy here. Lovey Dovey 1 coat alone. Buy here. Lovey Dovey 1 coat over black. Buy here. 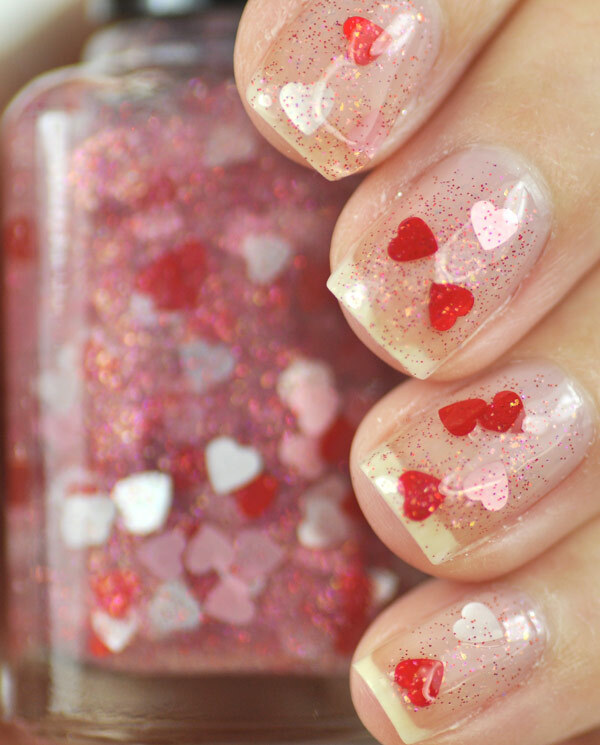 I have application instructions for the heart glitter top coats in each individual listing. My next collection will be Spring 2014, woohoo! Anyone going to IMATS? I will be there this Saturday.